As explained in the video above, the recommended battery for a home solar power system is the Trojan T-105 RE. Generally, a DIY electric car has the same power requirement as a home solar system. The system power inverter would require a constant power draw on the battery. 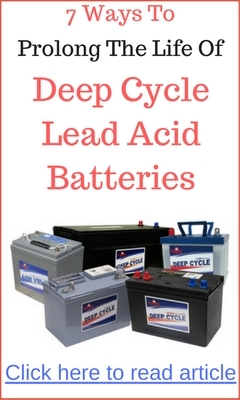 The battery has to withstand repeated low level power draw and multiple recharge cycles. The T-105 RE was specifically designed for the requirement for an electric car. However, do not buy the Trojan T-105 RE from the internet! The unit weight of the battery is 67 lbs. If you were to buy it online, you will be paying a lot of money for delivery charges. 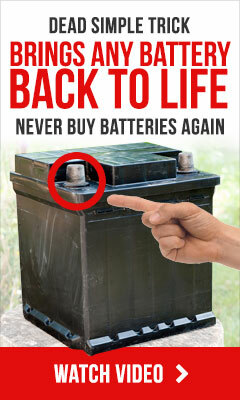 The best solution is to get the battery from your local Trojan battery dealer. Call up your local Trojan dealer and ask them if they have the T-105 RE in stock. If they don’t it would be easy for them to order a couple of units from Trojan HQ. If they do have stock, drive to your local Trojan battery dealer and buy it from them. You will be saving a lot of shipping and handling cost if you were to do so. I want an electric car in Ireland. How can I get one? Thanks for your comment. May I know what is your budget to buy an electric vehicle? I am looking at importing Electric Cars into New Zealand from China, but am finding the task difficult due to the large number of Chinese Agents that pose as manufacturers. And then I find the manufacturers also list cars that other manufacturers were supposed to have made. I even found this in your top ten Chinese car manufacturers list. This trade is a mess and it is very hard to get an honest answer out of any of them. The language barrier is also a concern. I would love to have a chat with a US car importer who has walked these dangerous waters already so at to avoid costly mistakes with certain models and suppliers from China. My aim is to get cheap affordable zero emission cars on New Zealand roads so as to help stop Global Warming. If I can make a living out of it then that would be great too. So I would love to hear from you if you have any contacts or advice. I agree with you. Some are agents do pose as manufacturers because most manufacturers in China do not deal direct. If you are looking to become Chinese Electric Car dealer in New Zealand, check out BYD Auto. As far as I know, Warren Buffet has a stake in BYD. I hope you are doing well today. We are working on our boat and plan to operate it with an array of 108 sq of solar panels, and 2 – 1 Kw vertical axis wind turbines. We want to run this into a battery pack then into an electric motor. Our vessel is 10.7 meters or about 33 ‘ and originally had a 85 Hp yanmar deisel. Can you make recommendations or refer us to an expert. Any advice would be greatly appreciate. We are in Cabo San Lucas and have good wind and sun.